Classic Tuna Noodle Casserole | Mommy, I'm Hungy!! 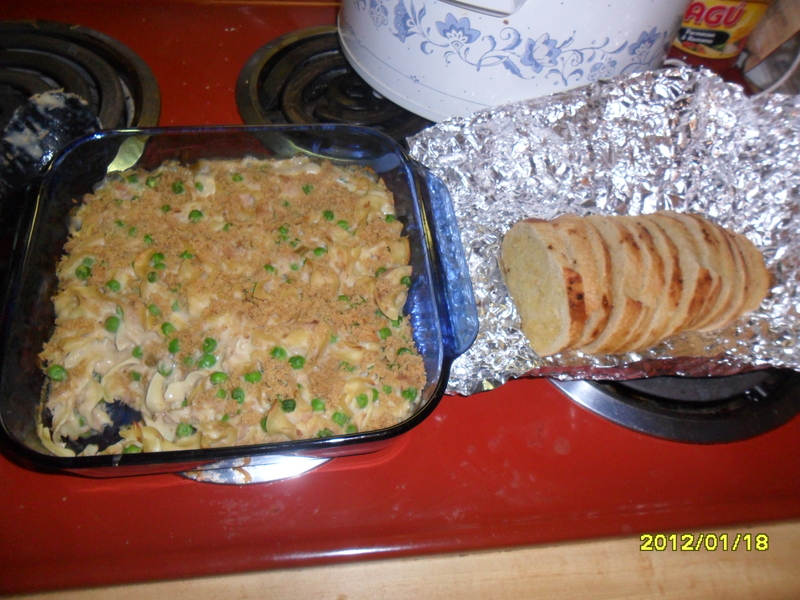 Tonight, I wanted something easy and relatively quick to fix for dinner and I decided on Classic Tuna Noodle Casserole. It was yummy and every bit of it got eaten up! Heat the oven to 400 degrees F. Stir the soup, milk, peas, pimientos, if desired, tuna and noodles in a 1 1/2-quart baking dish. Stir the bread crumbs and butter in a small bowl. Bake the tuna mixture for 20 minutes or until hot and bubbling. Stir the tuna mixture. Sprinkle with the bread crumb mixture. I know tuna is one of those foods that you either love or hate. 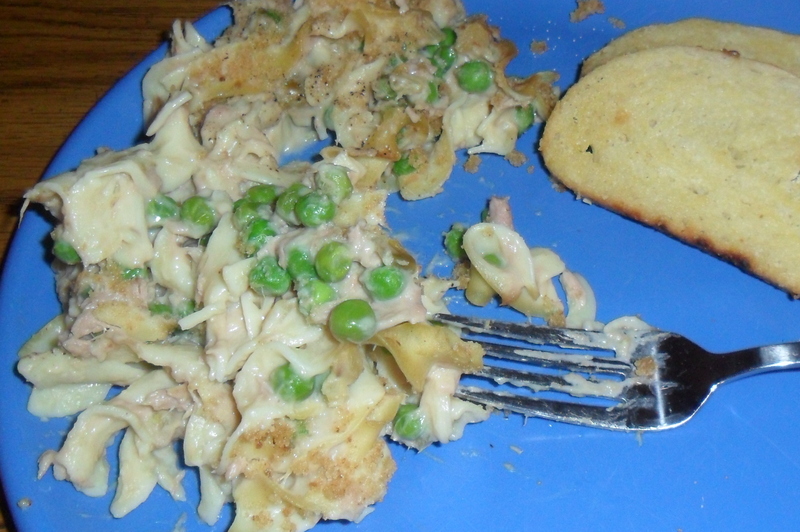 I happen to really like tuna and it has been so long since I’ve had a tuna noodle casserole. I wanted to something different to break up the week since I didn’t cook last night and we had fried chicken so I didn’t want to fix the chicken dinner I was planning on. I think I’ll fix it Friday, so stay tuned for Garlic Parmesan Chicken! Let me know what you think if you try this yummy recipe! I love comments!